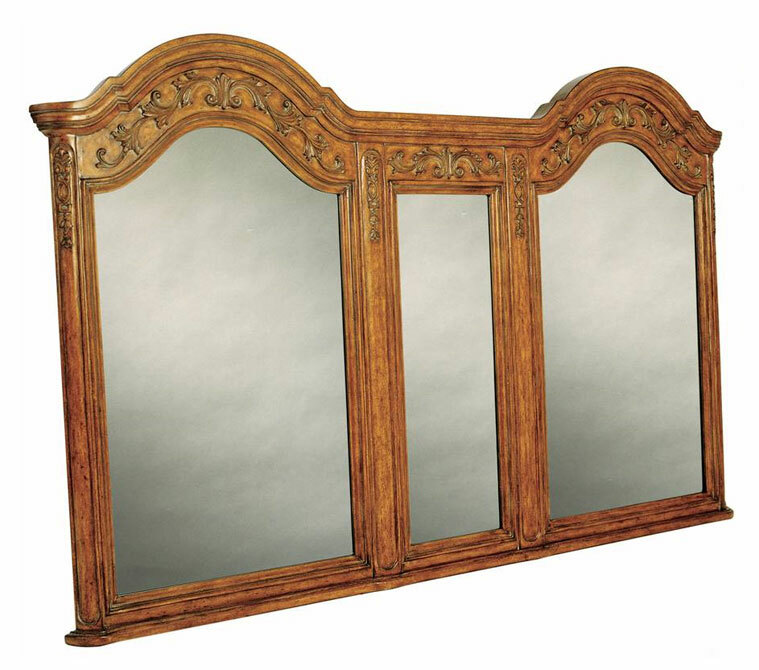 The 72" Private Retreat Double Vanity features beautiful details that set it apart from other antique vanities. 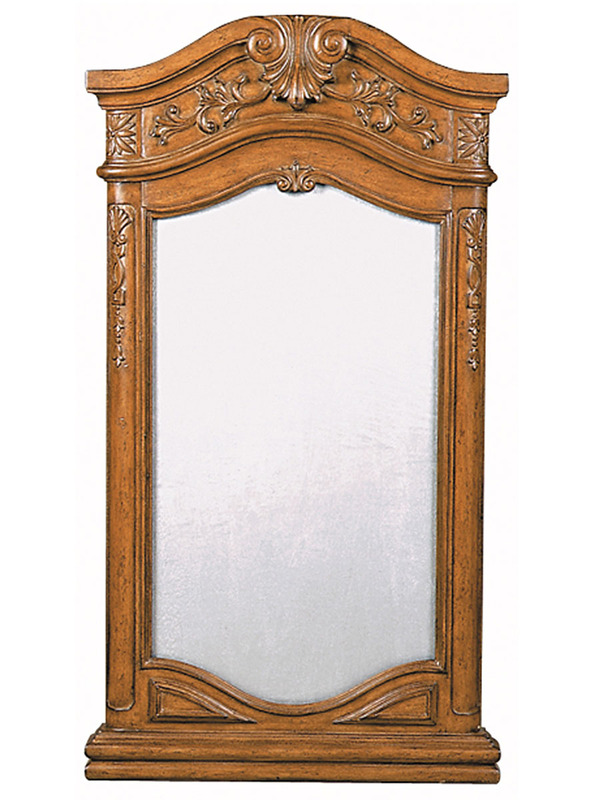 There are beautiful carved patterns along the top, sides, and bottom. The countertop is bone fossil stone, which provides a creamy contrast to the cabinet. Along with its beauty, it also provides utility. Two double door cabinets and four drawers allow for tons of organization. 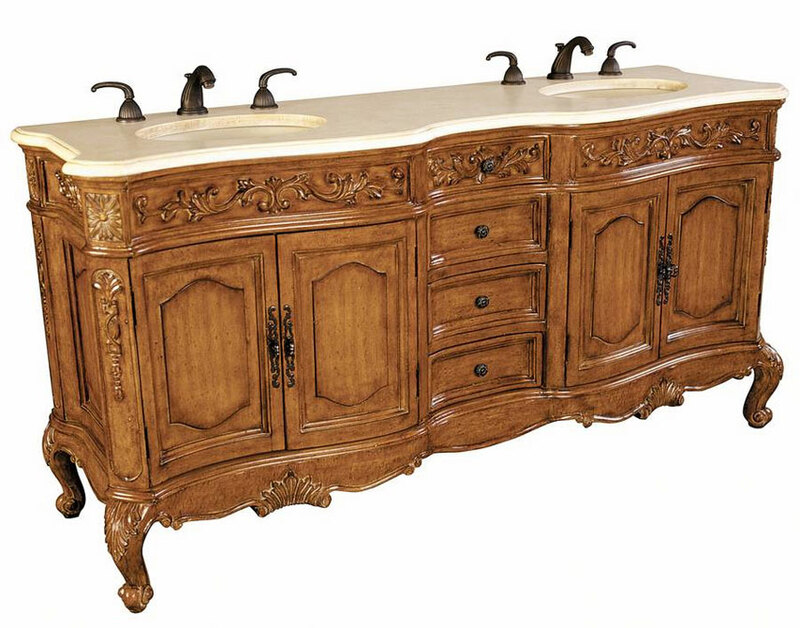 This piece also includes double Balsa porcelain sinks. Faucet options are available.